All candidates for office are invited to send letters explaining their positions to the voters of Nueces County via The Paper Trail News. It is our policy to publish all such letters. Please keep your letters under 1000 words. NOTE: All letters will be published as submitted. The Paper Trail will not proofread or otherwise edit candidate letters. If you would like to attach a picture, please submit it with the letter. Paulette Marie Guajardo, 44, is a native of Corpus Christi who attended Flour Bluff Junior High and graduated from Flour Bluff High School. 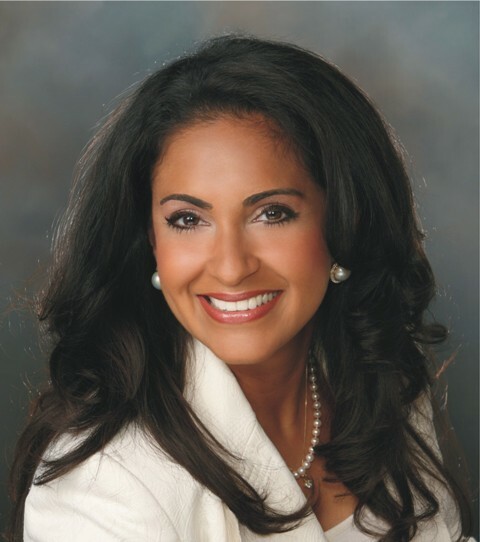 After graduating Texas A&M University Corpus Christi with a BA in Business, she became the small business owner of Paulette Guajardo Allstate Insurance Agency, which she ran for 15 years. Guajardo sold the business two years ago. She is married to local attorney, Victor Guajardo, Jr. They have an 11-year-old son, Jude, who attends Incarnate Word Academy. Guajardo was recently endorsed by the Corpus Christi Police Officers Association and the Island United PAC. WHY AM I RUNNING FOR CITY COUNCIL AT LARGE? After two years of not having a full time job, I began to get really interested in the challenges of our city and wanted to be better informed to learn how it operates. I realized that Corpus Christi faces many issues. I also noticed that most of the Council members had full time jobs and, in my opinion, the Council needed some members who can be dedicated full time to the pressing City issues. In an At-Large position, a council member is obligated to serve the interests and needs of all the citizens of our City, not just a single district, and that takes an inordinate amount of time. I am prepared to devote my full time energies to the job. I have no political ties or obligations to any businesses or organizations. I believe in independence with each vote cast to be based solely on merit as well as consequences to all parts of our city. Without question, the #1 issue on the minds of all our citizens is the massive job of reconstructing our streets with more than just pot hole repair. The cost, estimated by City staff, approaches one billion dollars. How to pay for this herculean task must be resolved. Once the public votes on the proposed bond issue vs. fees is decided, the Council must begin to make long term plans, not just temporary stop gap measures. Our City infrastructure has been somewhat ignored for too many years. The recent water boils and street flooding prove that a real solution must be found. This will require a major investment which again brings us to how to pay for the needed improvements. When the Eagle Ford began, everyone saw good times ahead. Now that the price of a barrel of oil has fallen from over $100 to $50 and below, we see the economy is not as bright as it once was. We must find every way possible to generate revenue for the city to lessen the tax burden on homeowners. Surely the new manufacturing plants, like TPCO, will bring a new vibrancy to the economy, but we must find and develop more positive economic engines. The Port offers great economic growth once the ship channel is deepened and the new bridge is completed. Our city faces some water issues in the future due to the heavy anticipated use by industry. Desalination is an excellent choice and needs to be fully explored. Affordable housing,as well as annexation issues, must be addressed and resolved.